Welding process as an essential variable is explored and explained. Here we consider why the welding process is treated as an essential variable within the typical welding codes. In fact, most welding codes use the different welding processes as the basis for listing the other essential variables. This makes sense, because many of the variables are only applicable to a specific welding process, and not applicable to others. When considering the different essential variables, we are doing so for the arc welding processes. This is done, because these are the primary welding processes where welding as a skill is considered important. Different welding codes use different terminology and abbreviations for the welding processes. We will mention those terms that are most widely used. 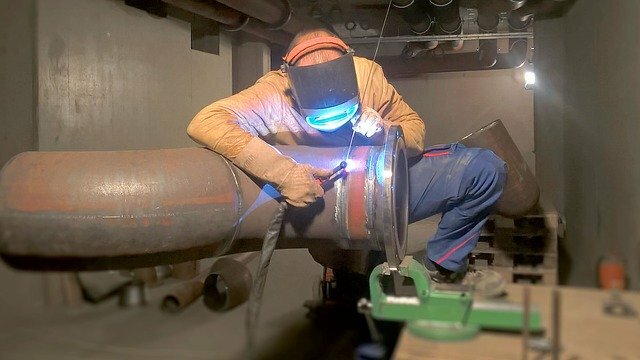 In addition, it must be appreciated that some welding codes will "split out" a welding process into more than one, because there may be significant differences in the essential variables that are applicable for each of the variants of the welding process. Where this is typically done, we will mention it, but it is not the intention of this page to be a definitive resource for all welding terminology or abbreviations. Also appreciate that some welding codes assign a specific number to each welding process. We will not be reflecting this practice, because it does not really add much to our discussion of the processes. Shielded Metal Arc Welding (SMAW): Also called Manual Metal Arc Welding (MMAW) and stick welding. Gas Metal Arc Welding (GMAW): Also called Metal Inert Gas (MIG) welding, or Metal Active Gas (MAG) welding. Sometimes called MIG/MAG welding. This is one of those processes that are often split into different welding processes, depending on whether an inert or active gas is used for the shielding. Flux Cored Arc Welding (FCAW): Due to the similarity with GMAW, FCAW is sometimes included as a single welding process along with GMAW. Some codes also split FCAW into two, depending on whether a gas shielding is used or not. Gas Tungsten Arc Welding (GTAW): Also called Tungsten Inert Gas (TIG) welding. In terms of appreciating why different welding processes will result in different results, we will look at categories of processes and what they have in common. Once we understand these broad strokes, it becomes clearer why each welding process has its own strengths and weaknesses. Under the high temperatures of the welding arc, some parts of the flux is turned into a gas. Typically this is carbon dioxide, carbon monoxide and sometimes hydrogen. This gas acts as a shield to displace the oxygen, thereby solving the oxide problem. In addition, the evolved gas forms a stable plasma, solving the arc stability problem. Other parts of the flux melts and forms a fluid cover for the weld pool. This fluid flux, now called a "slag", helps to remove impurities from the molten weld pool, and can also support the weld pool when welding out of position, and can also help to reduce the cooling rate of the weld. Another advantage of the flux is that when it is used in the root process of a weld, then the slag will also typically flow to the root side of the weld, thereby offering shielding on the back side of the weld. When welding materials such as stainless steels, that suffer from rapid oxidation at elevated temperatures, this slag helps protect the weld on the root side of the weld. There are also disadvantages to the use of flux. If the slag formed is very fluid, then when welding in a position where gravity draws the weld pool out of the plane of welding, the slag will tend to just fall onto the floor, making this weld pool very difficult to control. Fluxes therefore need to be well formulated if we want to use the welding consumable for "out of position" welding positions. "In position" welding is defined as a welding position where gravity draws the weld puddle into the weld preparation. This is also called the "flat" position. Any other position, where the weld puddle is being drawn out of the weld preparation by gravity is called "out of position". Another disadvantage of fluxing processes is that under adverse conditions, bits of the slag can be trapped within the weld pool where it then solidifies and forms "slag inclusion" defects. Yet another disadvantage of the fluxes is that they can be contaminated in some way. A typical contamination is when the fluxes absorb moisture out of the atmosphere. In some fluxes, moisture is added intentionally, to achieve some very specific properties. When welding, this water vaporises, forming water as a gas, which has its own properties. Some of the water also dissociates and hydrogen gas is formed. The hydrogen gas is a very "hot" plasma gas, so it results in high weld penetration and also high deposition rates, but the hydrogen can be absorbed into the metal, resulting in porosity and hydrogen cracking. Also called Hydrogen Assisted Cold Cracking. Another disadvantage of fluxing processes is that the Welder needs to spend time cleaning the slag off each weld run. This reduces the productivity of the welder, and introduces a bit of a mess into the welding area. 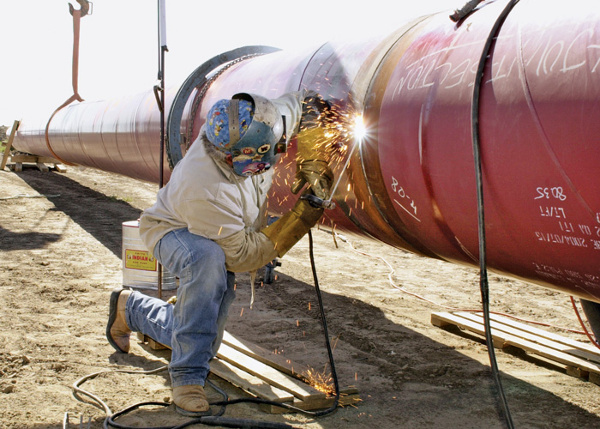 Some welding processes provide a direct gas shielding over the weld pool and arc. Examples of this are GMAW, GTAW, PAW and gas shielded FCAW. The gas is provided from some kind of storage, such as a gas bottle, and flows through the welding gun or torch in such a way that it makes a covering over the welding arc and adjacent base metal, excluding the oxygen and providing a suitable gas to provide a stable arc. In the case of GTAW and PAW, this must be an inert gas such as Argon or Helium. Other gasses do not provide enough protection to the tungsten non-consumable electrode used in these welding processes. Often fully inert gasses are also used for the GMAW process. Then it is called "MIG" welding, as in "Metal Inert Gas" welding. Often gases are used in the GMAW process that results in reactions. These are called active gasses. When active gases are used for the GMAW process, then it is called "MAG" welding, as in "Metal Active Gas" welding. In the case of purely inert gasses, the shielding gas cannot provide any advantages in terms of chemical reactions to condition the weld pool in any way. Active gasses on the other hand can result in both advantageous and disadvantageous chemical reactions, which can add some elements to the weld pool, or remove some elements from the weld pool. Also keep in mind that the different gasses will have different thermal properties in the plasma, meaning that it is possible to achieve different objectives with different gasses. For this reason, it is common to use mixed gasses as shielding gasses for the gas shielded welding processes. Because it is there is no slag to help support the molten weld pool, it is not possible to weld out of position with these processes while achieving high deposition rates at the same time. The gas assisted FCAW is obviously an exception here. For the processes without flux, the time spent cleaning the weld between weld runs is also very low, making these processes cleaner, and potentially more productive than the processes where slag must be removed. An electrode is just a fancy name for something from which electricity flows. Some processes create an arc between the work piece and a non-consumable electrode. In other words, the filler metal needs to be added as an additional operation when welding. GTAW and PAW are examples of this. An arc is established between a tungsten electrode and the work piece. During this process, the tungsten electrode is not consumed. A principal feature of this type of welding is that it is possible to fuse two pieces of metal together, without actually adding any filler metal. This is called autogenous welding. 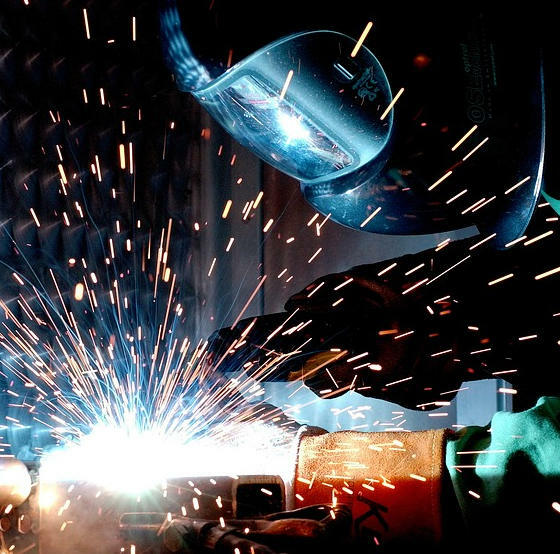 While autogenous welding is possible, it is only used under special circumstances. Because the amount of filler added is totally under the control of the Welder, these welding processes tend to give the Welder a high level of control, as the size of the weld pool can be controlled by not only the welding currents, but also the amount of filler added. The disadvantage of this is that it could be very possible for the Welder to add too little filler in some applications, leading to unfavourable chemical compositions in the weld pool that can lead to anything from cracking to poor corrosion resistance. As stated previously, the shielding gas used for these processes need to be inert, as any active gas will result in the tungsten electrode oxidising, degrading or melting. The main shielding gasses are argon or helium. Helium forming a "hotter" plasma, but it is also much more expensive than the argon gas. Where the higher energies are needed, it is common practice to mix some helium with the argon. One of the main disadvantages of these processes is that if the Welder does something wrong, then bits of the tungsten electrode can end up in the weld pool. The tungsten is a very brittle metal, so any significant tungsten inclusions will result in unacceptable defects in the weld. In essence then, one of the main considerations for the Welder, when using one of these processes, is to make sure that the conditions to which the tungsten electrode is subjected, is not such that it results in melting or splintering of the electrode. These processes are highly skill based welding processes. As a general rule, unless they are mechanised, they also tend to be very low deposition rate processes. Most of the arc welding processes are consumable welding processes. (All the processes listed above, excepting GTAW and PAW) Here, the arc is established between the "filler metal" electrode and the work piece. In this situation, the object is to balance the amount of energy in the electrode to that in the work piece. Too much energy in the electrode, and too little in the base metal, and the electrode will melt without the base metal melting. This typically results in lack of fusion defects. Too much energy in the work piece and not enough in the electrode leads to low deposition rates, making the welding less productive. In general, these processes do not offer the Welder the same level of control as the non-consumable welding processes, because there is constantly filler metal being transferred through the arc into the weld pool. It is not that clear how much of the molten weld metal is due to the filler and how much is due to the base metal. It is therefore much easier to get lack of fusion defects with these processes if the Welder's technique is not right. Examples of continuous wire feeding welding processes are SAW, GMAW and FCAW. In a welding process such as this, the wire is fed through the welding gun in the form of a continuous wire. While the welding gun's trigger is pulled, the wire feeds through the gun and automatically feeds into the weld arc. SAW is normally a fully automatic, or machine process, but GMAW and FCAW are typically "semi-automatic". This means that the welding gun is manually handled and manipulated by the welder, but the wire feeding and arc control is performed by the welding equipment. The big issue here is that there needs to be a mechanism to ensure that more wire is burned off when the wire feeds faster, and less wire burned off when the wire feeds slower. To achieve this, these welding processes typically use "constant voltage" power sources. In a constant voltage power source, the voltage is set by a dial on the machine. When choosing the voltage, the Welder is in effect choosing what the arc length is going to be. A higher voltage results in a longer arc length. The wire feed speed is then set on the wire feeder. The faster the wire feeds, the higher the amperage the power source delivers, to melt off the wire. In other words, the amperage is not set on the machine, but is a result of the specific wire feed speed selected. The power source is also said to be a "variable current" power source. The main benefit of these continuous wire feeding processes is that high deposition rates are possible. With well designed consumables and power sources, the skill level for these welding processes are also lower than is the case for the fully manual processes. Examples of the fully manual welding processes are SMAW, GTAW and PAW. Please note that these processes, especially GTAW and PAW, can be automated, but we will be looking at the manual variants of these processes. In a manual process, it depends on the welder to manually manipulate the arc and feed the filler, and manage the arc length. If the welder pushes the electrode too close to the work piece, it will short circuit and "stick". If the welder pulls the electrode too far away from the work piece, the arc will become unstable and eventually extinguish. Typically these processes are welded using "constant current" power sources. Here the amperage is set on the machine, and the voltage is controlled by the welder, based on the arc length that they use while welding. The manual welding processes tend to deliver lower deposition rates, and require higher Welder skill levels. Lapses in Welder technique can easily result in welding defects such as porosity and slag inclusions. We can now start taking each welding process, and the specific process variant that we want to use, and apply the principles stated above to give us a very good idea of what the advantages and disadvantages will be.